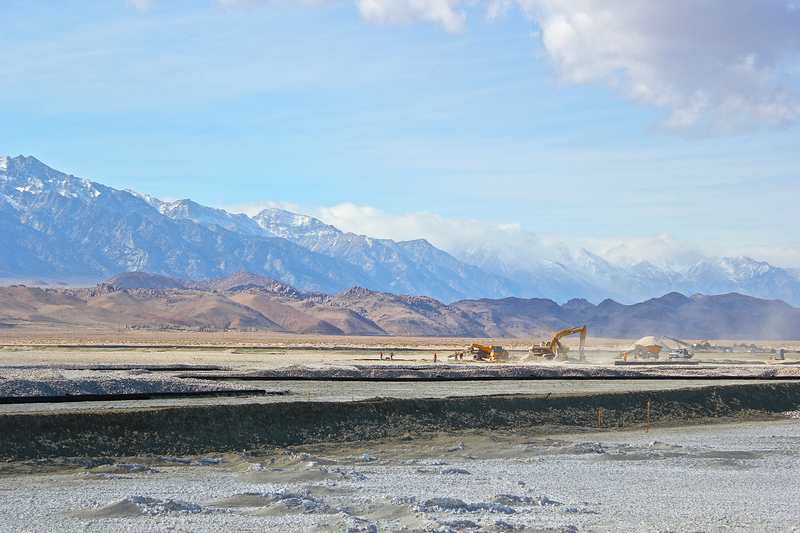 The Owens Lake Dust Mitigation Program Phase 9/10 Project was designed to mitigate dust emissions on an additional 3.62 square miles of Owens Lake bed. This two year project was completed in December 2017, finalizing a 15+ year program. 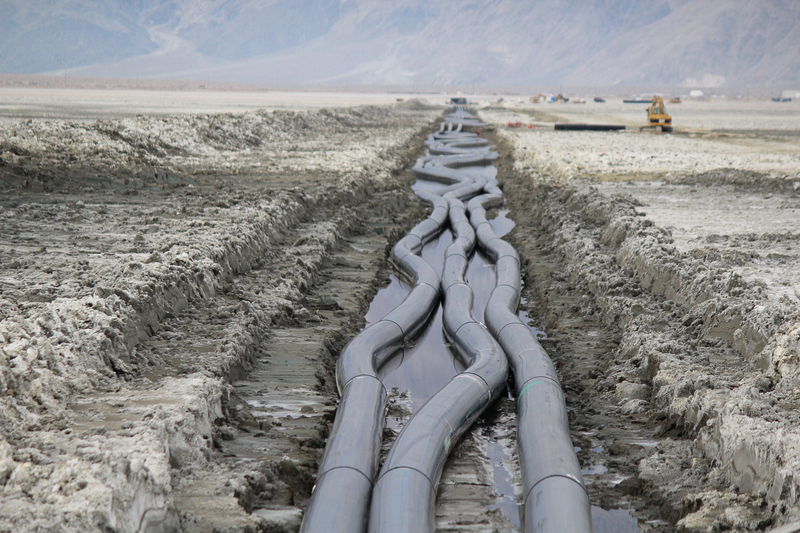 Upon completion of Phase 9/10, the City of Los Angeles’ overall investment in the Owens Lake Dust Mitigation Program was nearly $2 billion. 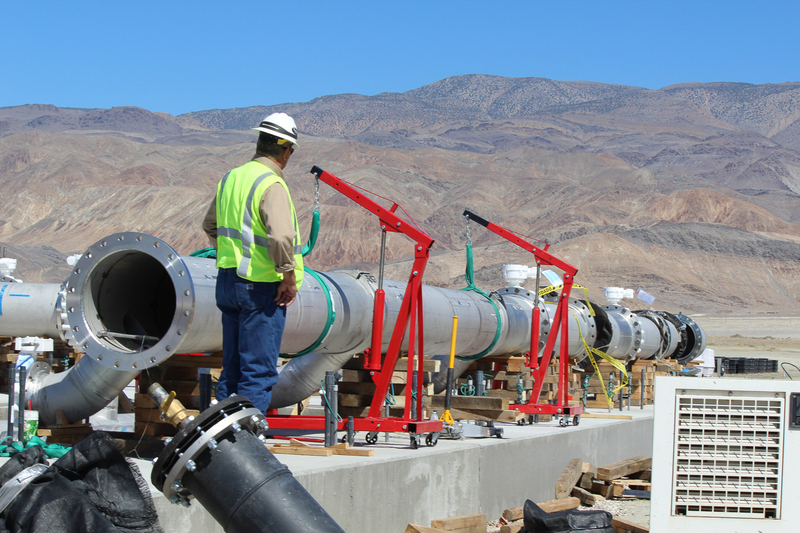 Major project components consisted of six new pumping stations to provide site water management, raised earthen roads, berms with rip-rap slopes, and the installation of hundreds of miles of piping, including welded stainless-steel mainline pipe, HDPE lateral pipe, perforated drain pipe, and irrigation whiplines. KDG staff processes change orders, handles pay applications, tracks construction progress and monitors cost controls and critical path method schedules. Quality assurance and safety staff perform all technical inspections, provide on-site supervision of quality inspections, site safety monitoring and reporting.